The Champlain Valley Senior Community is a new enhanced assisted living & memory care community, offering the only enhanced assisted living license throughout the greater Plattsburgh area. The Champlain Valley Senior Community's enhanced license enables our staff to administer a higher level of nursing care than a typical assisted living and memory care residence, effectively bridging the gap between traditional assisted living and nursing homes. In many cases, adding enhanced services and increasing care allows an individual to remain in our homelike setting and avoid the nursing home entirely. The state-of-the-art senior community offers a full range of personalized services including delicious meals, entertainment, social activities, health and wellness programs, regional excursions, medication management, 24-hour assistance, and transportation to area physicians. 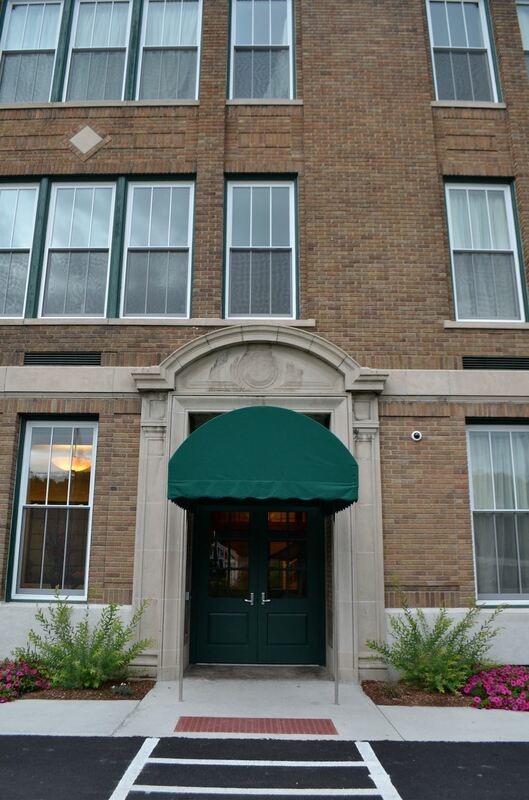 The senior home features modern amenities fused with the classic charm and special character of its historic building, the former Willsboro School. We encourage all of our potential residents and their families to visit the community, meet our staff, taste our food and spend as much time as desired in the building. Contact us to learn more about the community or schedule a tour today. All tours scheduled online will be confirmed within 24 hours. We look forward to meeting you and your loved one! Get the lifestyle you want and the care you need. As an enhanced assisted living residence, we offer a full range of assisted living and dementia care services including 24-hour personal care assistance and supervision, chef-prepared daily meals and snacks, medication management, housekeeping and laundry, a diverse activities program, local transportation as well as skilled nursing services. The historic property sits on the Boquet River and is within walking distance of many local amenities such as a pharmacy, restaurants, library, parks, places of worship, and a grocery store. Our residents may select may select from single or double suites featuring twelve-foot ceilings, and large windows offering scenic views of the Boquet River. Common areas include a living room with a fireplace, a library and game areas.